This is a fun Vintage Hiawatha Silhouette Image! 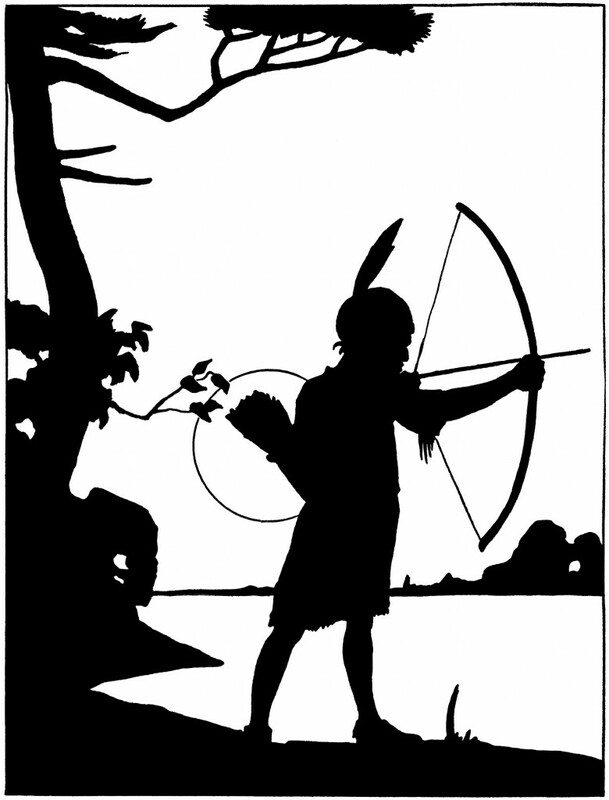 This is a black and white illustration showing Hiawatha aiming his Bow and Arrow by the River. I purchased a whole set of these images, they were published in 1922, I’ll be sharing more soon!